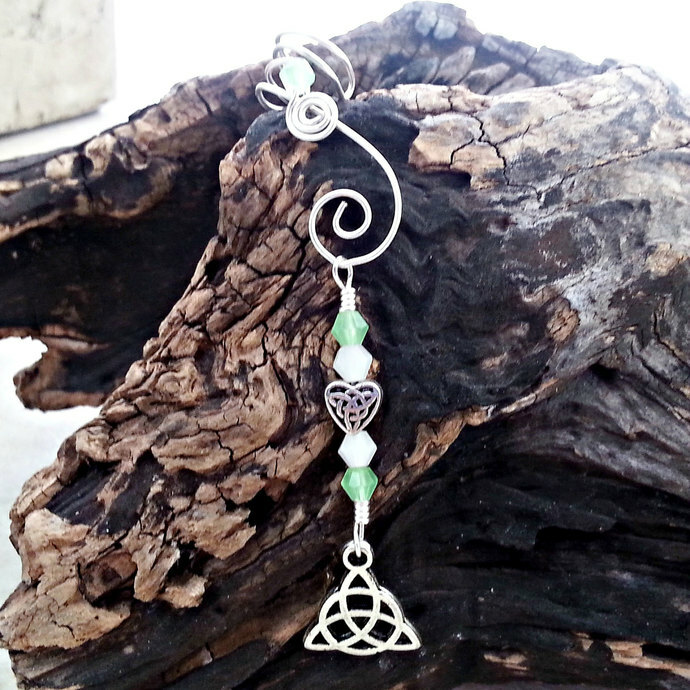 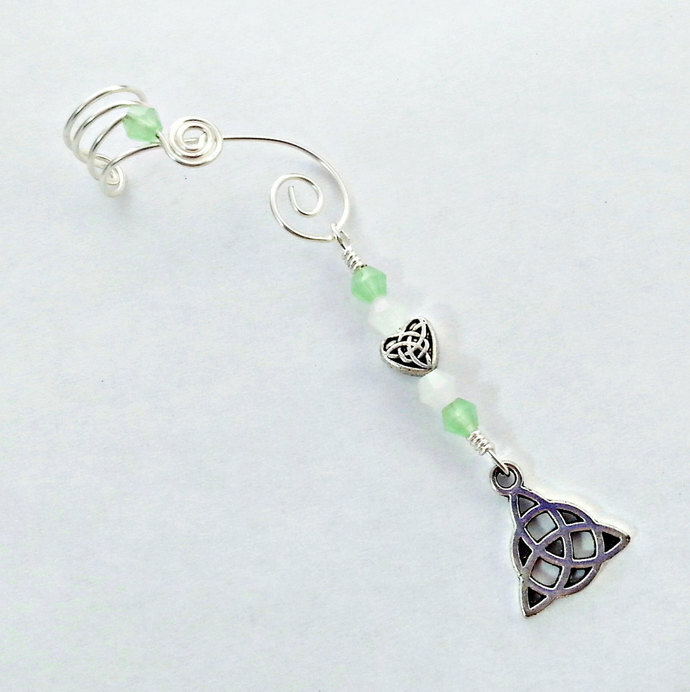 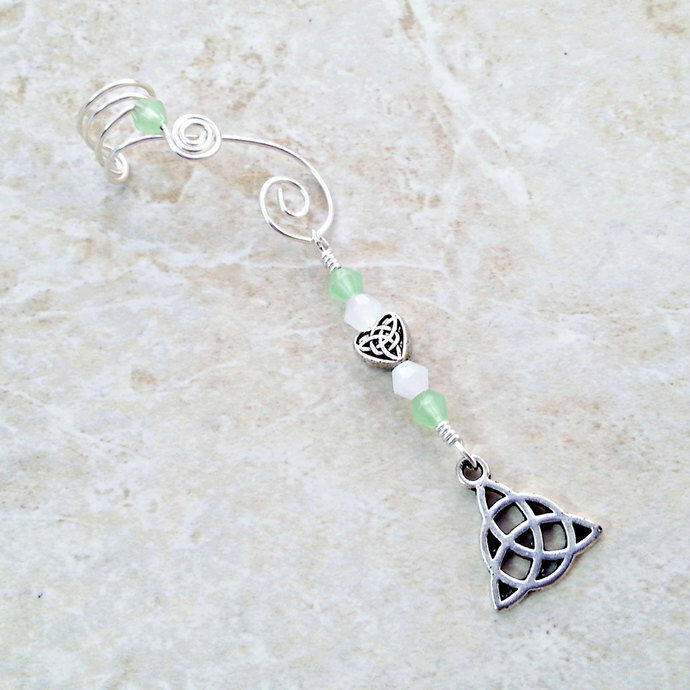 A Celtic Triquetra charm and heart bead are featured in this dangle ear cuff. 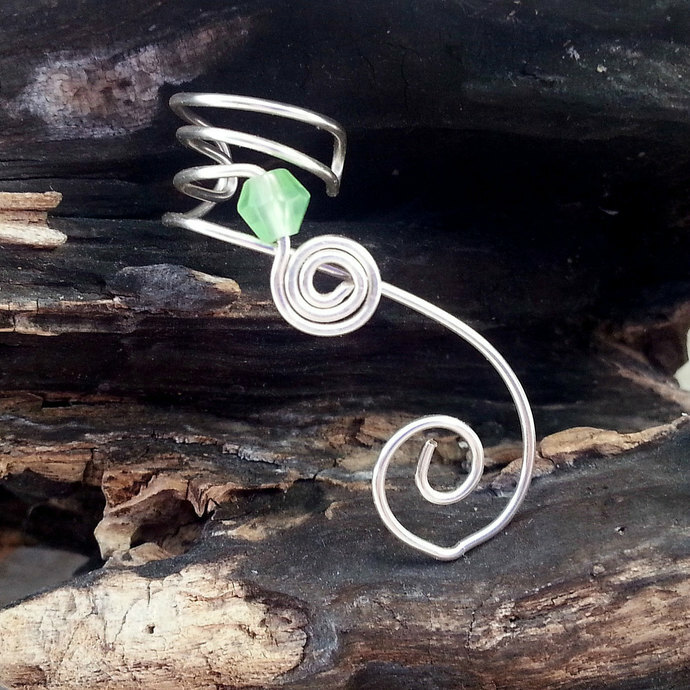 The 2 in 1 ear cuff can be worn with dangle or without dangle as a cuff alone for different looks. 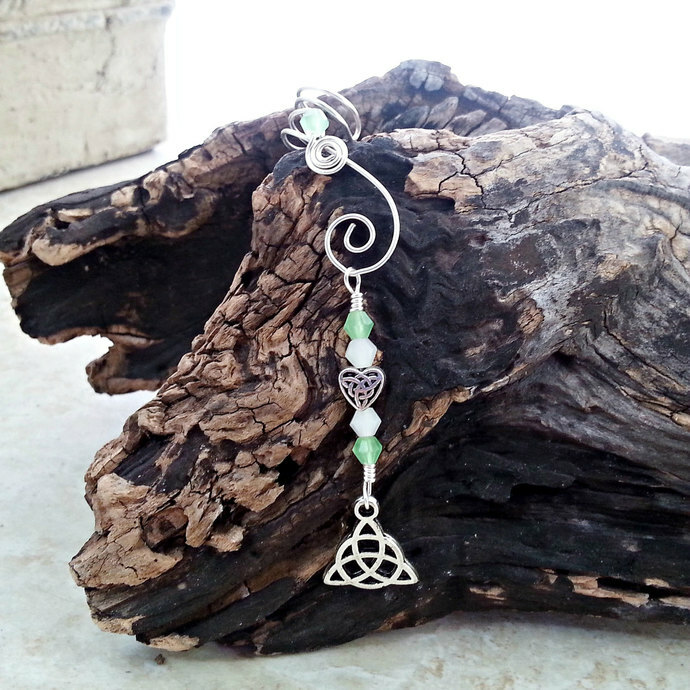 COLORS: The alternate crystal color choices replace the peridot crystals in the main cuff and the dangle, all other beads are the same.